Founding Artistic Director Nora Hussey to receive the Special Award for Achievement in Theatre from the New England Theatre Conference! 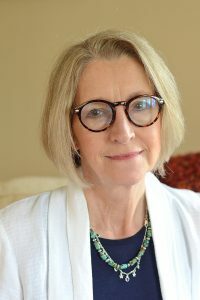 We are delighted to announce that our own Nora Hussey – fearless founding director of Wellesley Repertory Theatre – is to be presented on behalf of the New England Theatre Conference with their Special Award for Achievement in Theatre. The NETC Annual Excellence in Theatre Awards will take place on Sunday, October 14, 2018, at the Warner Theater in Torrington, CT, and Nora will be present to accept the award, surrounded by as many WRT company members as can road trip down, and myriad more in spirit! Each year this award is presented to two individuals or organizations for outstanding achievement and/or service in American Theatre on a national level. With this award, we specifically seek to honor theater professionals that have made outstanding contributions to the arts in their community. This year, the board would like to acknowledge Nora for her remarkable theatrical creativity. 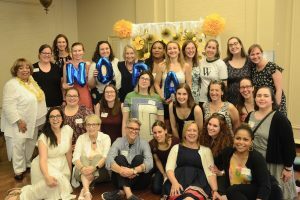 You, too, can attend a day of workshops and an evening of revelry at NETC’s Annual Excellence in Theatre Awards on Sunday, October 14, 2018. Tickets are available for purchase ($25 for adults, $18 for students) at netconline.org. Join us in congratulating Nora on this deeply deserved recognition! ← Sonia Flew flies to Cuba!